Jake Gyllenhaal (L) and Emmy Rossum, cast members in the motion picture ‘The Day After Tomorrow’ pose during a photocall in Berlin May 5, 2004. REUTERS/Fabrizio Bensch. Some researchers cautioned that 21 months of data is too sparse to draw firm conclusions, but that, if these results hold, it would be a dramatic change in our understanding of how the AMOC works. Observational data is available for the Gulf Stream closer to the U.S., which brings warm water north. A 2014 study examining actual measurements taken off the U.S. coast found “absolutely no evidence that suggests that the Gulf Stream is slowing down,” its lead author said. The AMOC is like a conveyor belt that brings warm, salty water north towards Greenland where it’s mixed with fresher cold water. As the water cools, it sinks and influences the climate and regional weather patterns. Polar ice melt and enhanced rainfall is putting more cold, fresher water into the Labrador Sea, reducing salinity and disrupting the key current, some scientists say. Climate models generally predict warming will weaken the AMOC, but observational evidence has been scant. Indeed, a 2018 study claimed of a “tipping point” in the coming decades whereby the AMOC could shutdown completely. That study analyzed sea surface temperatures since the mid-19th Century, but did not collect any field data on the AMOC. “The specific trend pattern we found in measurements looks exactly like what is predicted by computer simulations as a result of a slowdown in the Gulf Stream System, and I see no other plausible explanation for it,” scientist Stefan Rahmstorf, one of the 2018 study’s authors, said in a statement last year. 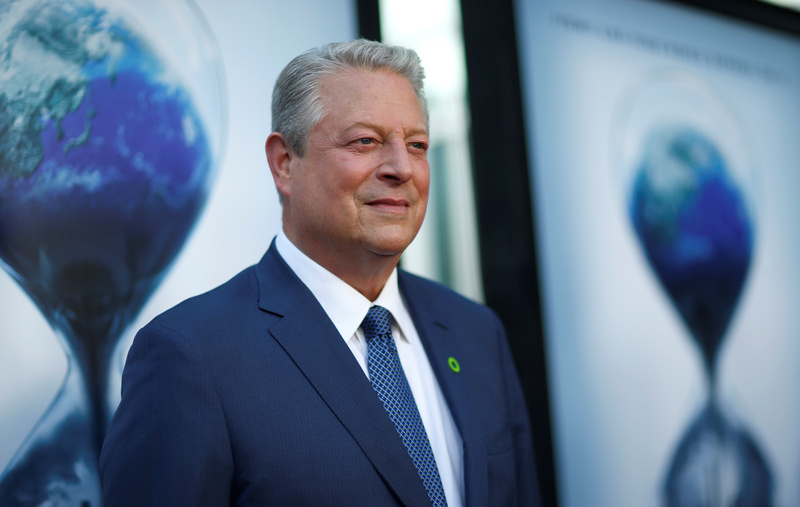 Former U.S. Vice President Al Gore attends a screening for “An Inconvenient Sequel: Truth to Power” in Los Angeles, California, U.S., July 25, 2017. REUTERS/Mario Anzuoni. A second 2018 study relied on proxy data to claim the AMOC had become “anomalously weak over the past 150 years or so” in comparison to the previous 1,500 years. However, many scientists were skeptical of the studies since neither relied on observational evidence. Lozier’s study provides further evidence that climate models may be wrong on more than just temperature rise. “I think that’s one big take-home message from our study, is that these previous papers that have discussed that are almost like barking up the wrong tree,” Bob Pickart, an oceanographer and a co-author of the study, told ScienceNews.